Allergen Statements / Claims Non-GMO, No milk, No eggs, No fish, No tree nuts, No wheat, No peanuts, No soybeans. Other Ingredients Corn starch, sucrose, hypromellose, hydrolized gelatin, purified water, vegetable oil, vegetable magnesium stearate, sodium ascorbate, silicon dioxide, dl-alpha tocopherol and ethyl cellulose. Brand Intellectual Property (IP) Statement Information Health Thru Nutrition is a registered trademark of EPIC. 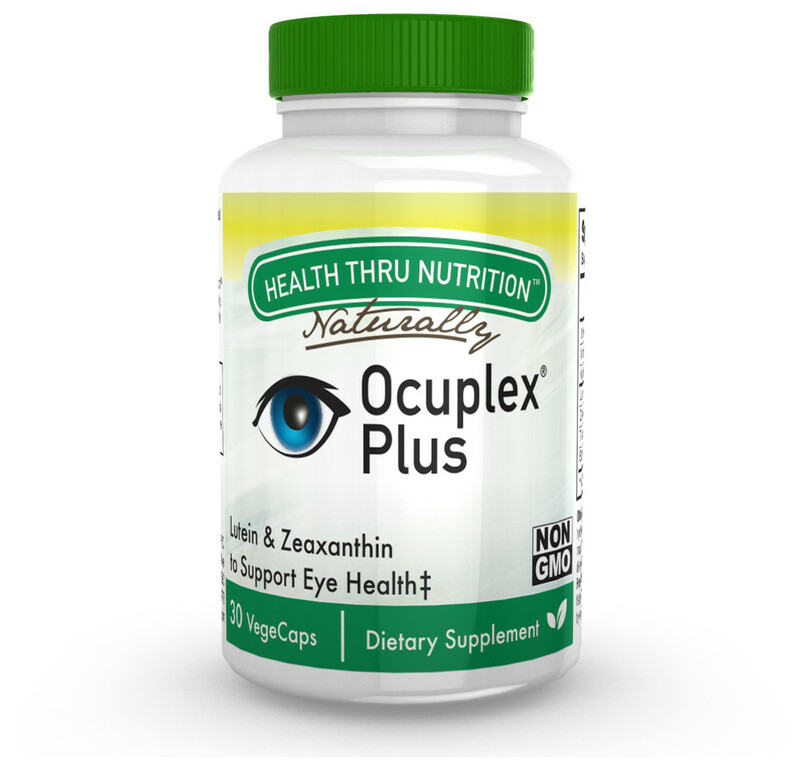 Ocuplex is a registered trademark of Tishcon Corp.